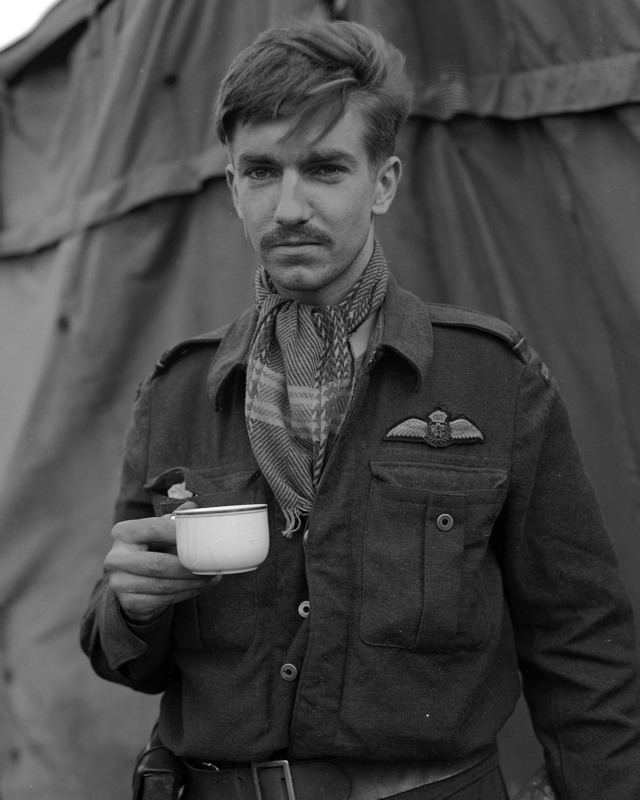 John Flintoft was a pilot with 440 Squadron. 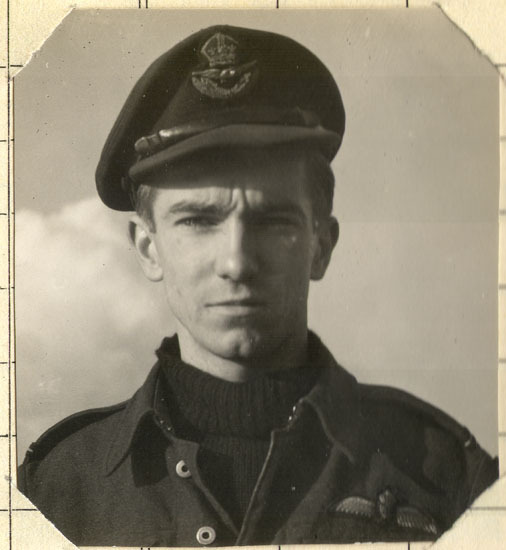 He was shot down in February 1945 over Holland and evaded capture. Harry Hardy, fellow pilot from 440 Squadron, shared a few stories about John. "He used to fly tight to me on the way home. He scared me!" Harry explained that he had to write a letter to John's mother. He told her that it was an engine failure -- a technical problem. "John set me straight about what really happened to him at one of our reunions. He was shot down with a bullet in the engine. He wanted everyone to know that he was shot down instead of having to crash land. The underground took him in and hid him in the bush at first, then moved him to the house. He was singing on the balcony!" 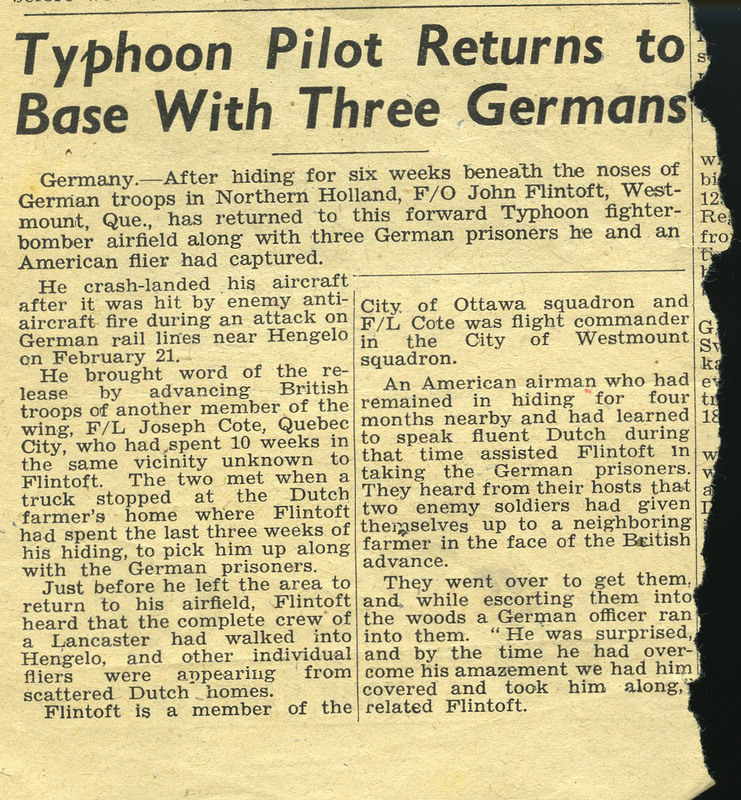 More information about John Flintoft can be found in Typhoon and Tempest by Hugh Halliday on pages 114-116, 176, and 187. 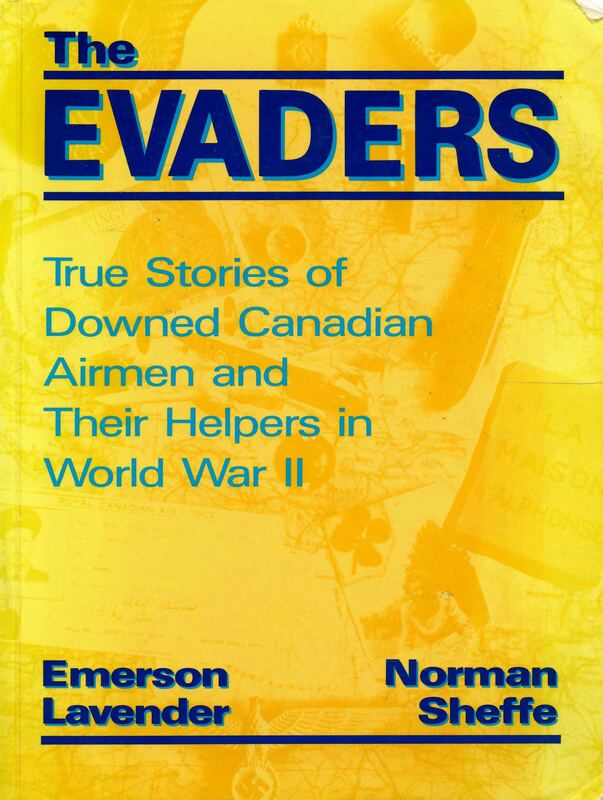 His story is also written up in the book The Evaders by Emerson Lavender.